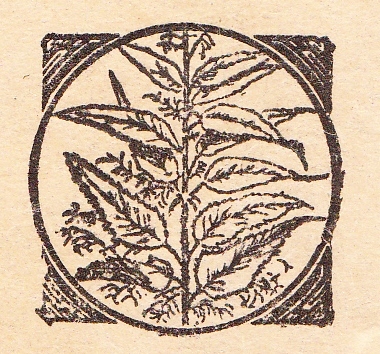 December 26, 2015 / Steve M.
This is the first of a short series of listings featuring” Orties Blanches”, titles from the 1930’s which is rapidly evolving into the period of the greatest interest for me, primarily because of the style and content of the illustrations across a wide range of competing publishing houses, and also of the artists themselves and the mystery surrounding the identity of particular individuals. But more of that in later listings. This title is rebound with original covers preserved and is illustrated with 12 engraved plates by “Davanzo”, this illustrator is of interest because in some of his illustrations there is a striking resemblance to “Wighead”, I will simply do a normal listing in this post, but if anyone is interested, see if you can pick out which of the illustrations below I think are like “Wighead”. 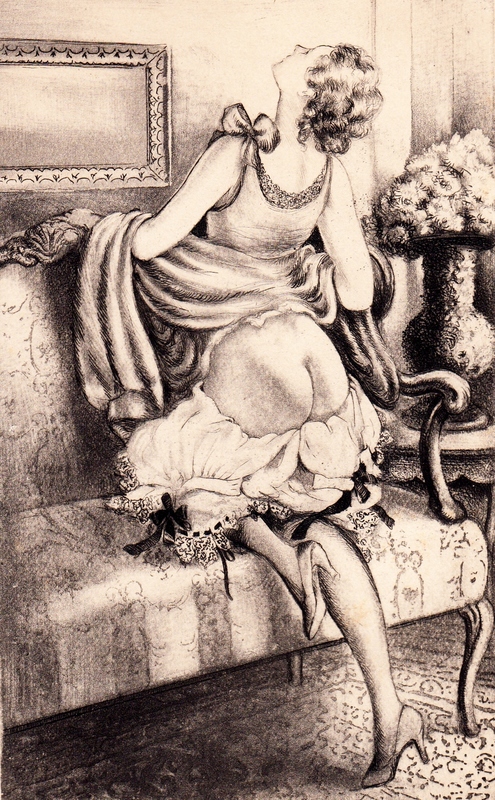 In my next listing which should be posted in the next few days, I will do comparisons between illustrations by this artist (Davanzo), “Marilac” and “Wighead”, to the best of my knowledge the only one that can be linked to a named artist is “Marilac” (Mario Laboccetta), but was he using other pseudonyms? LAURIS, Liane de. 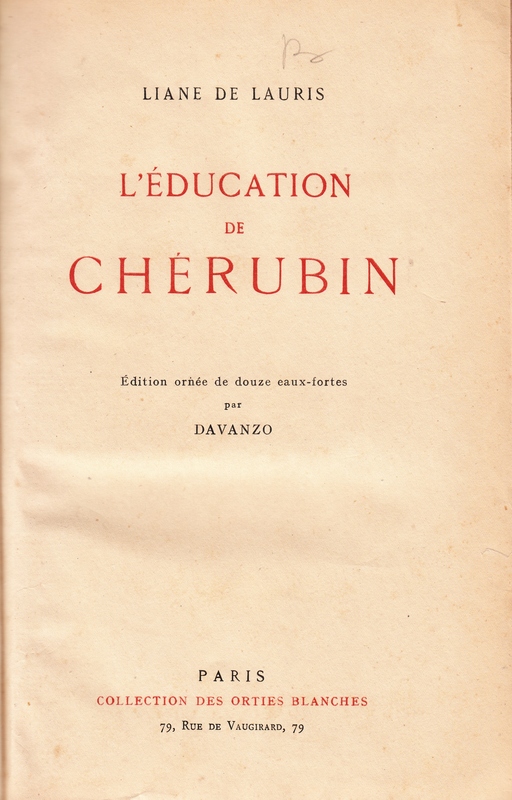 — L’Éducation de Chérubin. Édition ornée de 12 eaux-fortes par Davanzo. Paris: Collection des Orties blanches, 79, rue de Vaugirard (Dijon, impr. 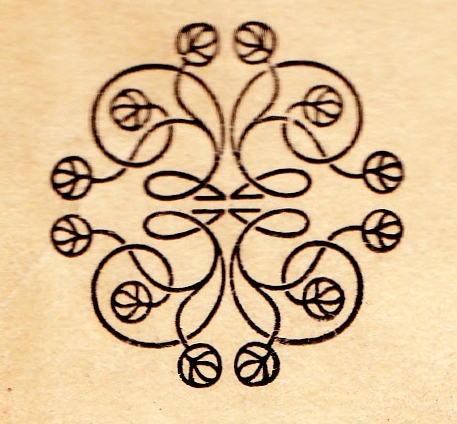 de Darantière), 1934. In-8 (25.5 cm), 283 pp. ← Books for Trade: René-Michel Desergy: Confessions et Récits; Collection des Orties Blanches 1930.